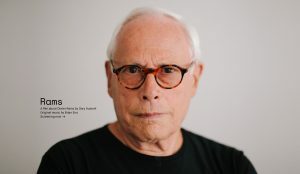 Gary Hustwit writes, “For over fifty years, Dieter Rams has left an indelible mark on the field of product design and the world at large with his iconic work at Braun and Vitsoe. The objects Dieter has designed have touched the lives of millions of people––so many of us have had a Braun coffeemaker, shaver, stereo, calculator, speakers, or alarm clock. Or an Oral-B toothbrush. Or a Vitsoe 606 shelving system. Or any of the hundreds of other products Dieter has designed or overseen the design of. His work has influenced the way most of today’s consumer products look and function. The computer or phone you’re reading this on looks the way it does because of Dieter Rams. Dieter’s influence also extends to his “Ten Principles of Good Design,” a list of edicts that champions simplicity, honesty, and restraint, and still applies to design theory and practice today”. Rams – Official Trailer from Film First on Vimeo. It would all be much simpler if one could state that Dieter Rams’s work and principles arose from him alone. But Rams would be the first to say that what constitutes his ‘work’ as an industrial designer is inseparable from the systems and networks through which it was produced. As such, assigning individual authorship to his work is, to some extent, meaningless. He could never have resolved his concepts without the ideas of his predecessors and his contemporaries, in what was an extraordinary era of worldwide growth and change. He could not have produced the things he did without the other designers at Braun, nor without the technicians, the managers, the materials manufacturers, the vision of the company’s original owners and even the marketing department. The same goes for his furniture design with Vitsœ, albeit on a smaller scale. Even beyond this vast network of people required to create his products, the designs themselves were modular and thus system-related. In nearly every instance, there are complex interrelationships within and between his designs: the improvements of individual components, how the products work with one another, how they are related aesthetically and in terms of intent, and how they function in the home. Last but not least, Rams’s products – in fact, his whole attitude and his principles – are geared towards the end user: they have to fit into the social systems, the lives and homes of a multitude of different kinds of people, and serve all of them discretely, reliably and comfortably. It would be wrong to remove the work of Dieter Rams from these contexts and yet trying to explain them has involved many words and many pictures. I trust he will forgive me for not writing an empty book, but there was much that needed to be said about his extraordinary life and work in order to transmit the essence of his message: ‘less but better’.